Every 30 seconds, someone in the world is killed in a road accident. This figure has risen in recent times due to the greater accessibility of car ownership, higher quality of roads and the increased number of those taking up cycling. Road accidents concerning these users happen on a daily basis and the range of severity of injuries caused in these accidents is vast. This is why cycle safety awareness, for both cyclists and drivers, has become so important. Cyclists are vulnerable on the road and have little protection if they are involved in any form of collisions. It is for this reason that knowledge of a cyclist’s legal protections arising from such a collision is highly useful in addressing a situation that is potentially damaging, both physically and emotionally. When has there been “an accident”? Although this question sounds self-explanatory, whether or not an accident has occurred in terms of bringing a claim will depend on the facts and circumstances of each case. A satisfactory definition of the word is not easy to provide, having regard to the variety of circumstances under which an accident can occur and the lack definition within the legislation. It has been suggested that an appropriate test might be to consider whether the ordinary man who witnessed what happened would say that in all the circumstances there had been an accident. It should be noted that an accident can arise out of a deliberate act, similarly, an accident can also occur without a collision with the cyclist taking place. Therefore, the definition of an accident is broad and general, leaving wide scope for litigation concerning injuries. The Road Traffic Act 1988 envisions that an accident has occurred if injury is caused to any other party or damage is caused to any other vehicle, to specified animals or to any property constructed on, fixed to, growing in or otherwise forming party of the land on which the road is situated. This covers every mode of transport ranging from buses, taxis, cars, motorbikes, public transport and bicycles. What is the driver’s position? The driver of the vehicle, in this case the cyclist, can make a road traffic accident claim for loss and injuries if another person or party was responsible for the accident. This can arise from the intentional actions of another driver or from the negligent or reckless actions of this or a different party. For example, if the road surface wasn’t completed up to the expected standard so that conditions were unsafe, an accident claim may be brought against the party accountable for maintaining the roads or the party responsible for causing an accident to a cyclist on this road. If it appears that the cyclist was found to be at fault or had contributed in some way to the circumstances surrounding the accident, then a claim may still be successful. This amounts to a defence by the driver in the determination of liability, the principle being that those that were injured contributed to the harm they suffered. This is usually reflected in a reduction of damages they are able to claim as a result. For example, cycling dangerously may have contributed to the circumstances that led to a collision. Even if the driver failed to stop or the registration number of the vehicle wasn’t obtain, a claim may still be initiated against the Motorists Insurance Bureau under the “Untraced Drivers Agreement”. In order to do this the accident must be reported to the police within 5 days of the incident, if claiming for property damage, or within 14 days if claiming for personal injuries. There was a duty of care owed by the party that caused the alleged injury (defendant or defender) to the injured party (claimant or pursuer). The duty of care is an obligation that is imposed on everyone not to do anything that is reasonably foreseeable as likely to cause someone else to suffer harm. Generally, a duty of care will be assumed in the vast majority of circumstances, as all road users owe a duty of care to each other. The party that caused the injury failed to observed the duty of care. This element must be established with evidence and can be more difficult to satisfy. The amount awarded will be driven by the injured party’s ability to prove the loss they suffered as a consequence of the breach of the duty of care. As a result, all evidence to suggest that what the road user did or failed to do something that caused the injury is important. For example, this may include photographs of the damage to the bicycle, medical reports from hospital and statements made to the police. This evidence will depend heavily on the circumstances of the case. In settling cycling accidents it is typical for the pay-out for injuries (or ‘quantum’) to be settled by the parties’insurers, rather than the courts. Litigation can often be costly and time-consuming in nature and, thus, insurers frequently prefer to settle rather than to run the risk of the courts finding against them. Therefore, insurance providers to adopt a flexible and individualistic approach to assessing damages and negotiate quantum between the parties. Court proceedings are usually issued if there is a dispute between the parties, or where one of the parties does not respond to a claim put to them. However, a vast majority of claims do not progress to a final court hearing as they are settled beforehand. If the courts are required to decide damages for a cycling accident, they will use personal injury guidelines supplemented by case facts to fix an award. It should be noted that damages are not only awarded for the injuries incurred but also extend to additional economic loss. For example, the costs of any damage to your bicycle and or helmet. If this is extensive then replacements will be needed. This also includes damage to your cycle clothing. All these factors may be negotiated during negotiation or court proceedings. A cyclist can make a road traffic accident claim for loss and injuries if another person was responsible for the accident. 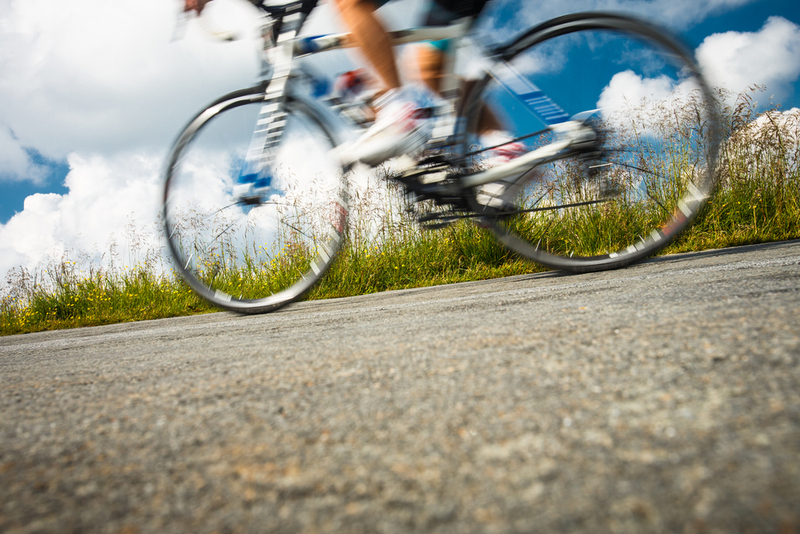 Where a cyclist has contributed in some way to the circumstances surrounding an accident, their liability is likely to be reflected in a reduction of damages. Even if the driver failed to stop or the registration number of the vehicle wasn’t obtain, a claim may still be initiated against the Motorists Insurance Bureau. In settling cycling accidents, it is typical for the pay-out for injuries (or ‘quantum’) to be settled by the parties’insurers, rather than the courts. Court proceedings are usually issued if there is a dispute between the parties, or where one of the parties does not respond to a claim put to them. Damages are not only awarded for the injuries incurred but also extend to additional economic loss, such as the costs of any damage to a bicycle and or helmet.